Harry Kane’s potentially season-ending ankle injury has put a spanner in the wildcard works. 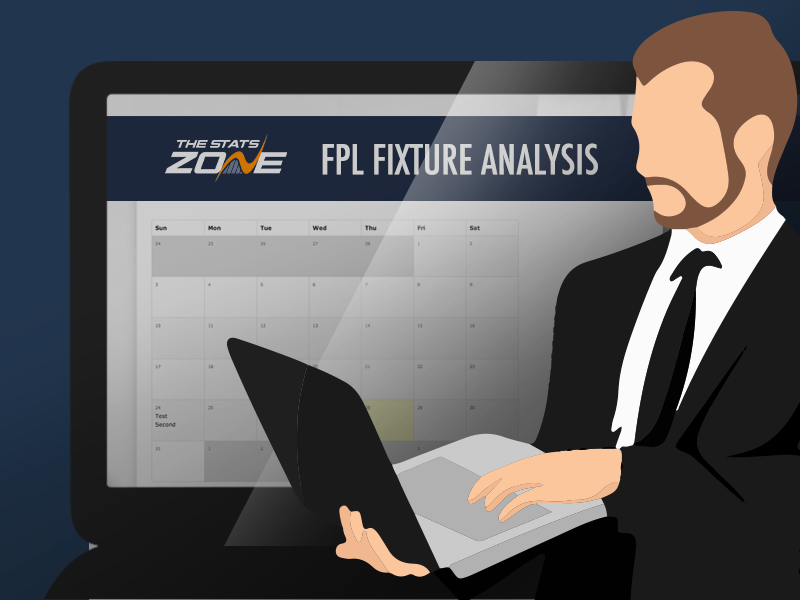 Our pre-GW34 analysis looks at the schedule of every team with two fixtures in DGW35, while also assessing transfer targets from single-gameweek sides. For the legions of FPL bosses deploying a wildcard this week we focus on form, rotation and building a squad capable of managing the run-in. To add to Pochettino’s worries, Alli was withdrawn late on in Spurs’ Champions League victory with a wrist problem. The Tottenham manager’s pre-GW34 press conference is scheduled for tomorrow afternoon, with a definitive update expected on Kane at least. Reports now suggest Alli has a broken bone in his hand but could be ready for the quarter-final second leg away to Man City next week. Son has since become the top Spurs transfer target. The attacker, who rose in price on Tuesday night, has well over 200,000 new owners this week. Between GW23 and GW26, when Kane was last absent, the South Korea star scored three times in three consecutive starts on his return from international duty in GW24. Son blanked in his following three starts and two sub appearances before scoring at home to Crystal Palace in DGW32. The midfielder did require some treatment on his calf against City but went on to complete the game. Alli scored back in GW23 and looked as though he would prosper in Kane’s absence before succumbing to injury himself late on in a 2-1 win away to Fulham. The England midfielder played in a more advanced position than recently seen against Man City and if fit, could be moved further forward in Kane’s absence. Eriksen has started every Tottenham tie since GW18, completing all but seven available minutes. The Dane has five goals and five assists to his name over that period. Moura has started two of the last three gameweeks, scoring once, and is set to earn further pitch considering Spurs’ injury situation. Fernando Llorente (£5.1m) began three games out of four in Kane’s last absence, netting once and providing three assists – while also scoring an own goal. Lloris is nailed on between the sticks, while Vertonghen leads the rest of Tottenham’s defenders in terms of minutes since GW22. Serge Aurier’s (£5.7m) hamstring injury appears to give Trippier a free run in the right-back spot but Kyle Walker-Peters (£4.2m) could potentially eat into the England full-back’s pitch time. Bernardo’s injury seemingly rules him out of wildcard contention, barring a further update from Pep on Friday, while KDB’s late cameo is encouraging for investors ahead of GW34. The Belgian started both of the Citizens’ DGW32 ties, fortuitously scoring at home to Cardiff. He also began their FA Cup semi-final win over Brighton last weekend, providing the assist for Jesus’ strike. Sterling remains the go-to option in the City midfield. In his last six gameweek starts, the winger has scored five times and recorded three assists en route to bagging three double-figure hauls. The England star did blank last time out at Fulham before being rotated to the bench for City’s second DGW32 fixture against Cardiff. Both Sterling and Aguero will likely be subject to rotation during a crazy April for City, though figuring out when that will happen is another matter altogether. After a short spell on the sidelines between GW28 and GW30, Laporte returned to become City’s top scorer (18) in a double gameweek for the second time this season. While the Frenchman’s place looks very assured, Guardiola does have three other fit centre-backs to call on. Ederson is normally a cert in goal but the Brazilian did land heavily on his hip during the Champions League quarter-final and is one to keep an ear out for in Guardiola’s presser. Synopsis: After the visit of Chelsea, the Reds’ schedule is encouraging for investors despite the lack of a double gameweek. Salah grabbed his first goal since GW26 last weekend and could now be considered by wildcarders with spare cash following Kane’s demise. Mane is a more affordable, in-form option. The Senegal star has recorded back-to-back blanks, having posted attacking returns in seven of the nine fixtures prior to GW32. He was also unfortunate to have a goal ruled out in Liverpool’s 2-0 win over Porto on Tuesday night. Firmino scored in that Champions League tie, while the striker has three goals and two assists in Liverpool’s past four league fixtures. The variety of options for the three forward slots in wildcard squads mean the Brazilian could be overlooked in favour of his midfield team-mates. Very satisfactory half. Hendo absolutely bossing the mid. Keita looks more confident. Alexander-Arnold provided the assist for that Firmino tap-in against Porto, while Robertson was suspended for the quarter-final first leg. Despite Klopp saying pre-match that Joe Gomez (£4.8m) needed more time to be ready for action, the defender found himself on the bench midweek with Robertson missing and Alberto Moreno (£4.1m) not fit. Robbo is probably a safer bet than TAA in terms of minutes, with the England defender hooked before 60 minutes in BGW33 as James Milner (£5.6m) was brought on. However, with Liverpool realistically needing to win every remaining league game to have a shot at taking the title, both first choice full-backs can be expected to log significant minutes. Synopsis: Dumped out of the FA Cup in cruel fashion, Wolves should be chomping at the bit to earn seventh place in the league. Jimenez, who has strong DGW35 captaincy credentials, is unsurprisingly a given in many wildcard squads. The Mexican offers excellent value for wildcarders trying to wedge in several premium assets. He was benched for Wolves’ first DGW32 fixture but that was immediately after a long-haul return flight from international duty. Jota, who plays alongside Jimenez in Nuno’s 3-5-2, has started every match since GW22. Wolves’ fixture list offers the potential for clean sheets, while the attacking instincts of Jonny and particularly Doherty means many managers could triple up on affordable Wanderers assets. Synopsis: The relegation-battling Saints offer budget enablers in defence and midfield, while Shane Long (£4.6m) is an option for FPL managers going with a 3-5-2 for the rest of the season. Bednarek has been an ever-present under Ralph Hasenhuttl, while Valery has two goals in Southampton’s past four games. Both JWP and Redmond could cause benching headaches as fifth-midfielder picks, which is where Hojbjerg may come in handy. All of the above will be useful for those using the bench boost chip in DGW35. Synopsis: Due to a club embargo, Javi Gracia’s press conference will not be publicised until 5pm on Friday – just two hours before the deadline. After scoring twice off the bench to help Watford reach the FA Cup final, Deulofeu limped off in injury time with an ankle problem. Full-backs Holebas and Femenia were also forced off. Foster is the only member of the Hornets’ backline you would trust to start twice in DGW35 considering Gracia’s penchant for rotation in those positions. Club captain and first-choice penalty taker Deeney is an attractive option in the budget forward bracket and along with Doucoure offers a strong possibility of two starts over the upcoming double. Had Deeney in my draft since yesterday and can’t see him going anywhere. Synopsis: Brighton’s backline is where the DGW action is at with Ryan, Dunk and Duffy all in vogue for their double-double. lreland defender Duffy is under heavy captain consideration for many managers this week. He sits joint-fourth for attempts among defenders over the season (30), while only fellow Irishman Doherty (16) has had more shots on target than the Brighton centre-half (14). Australian stopper Ryan is a decent DGW34 prospect and a very bench-boostable option in DGW35. Solly March (£4.8m) is set to be fit for this weekend, which could impact on Knockaert's pitch time. Pascal Gross (£6.7m) is also back in full training, giving Chris Hughton and FPL bosses some extra options. Murray could share pitch time with Florin Andone (£5.0m) over Brighton's busy schedule, though the veteran forward has started each of Brighton’s last five home fixtures. Synopsis: The Gunners’ 1-0 defeat at Everton in BGW33 continued an alarming run of away form. Unai Emery’s side have failed to keep a clean sheet on the road so far this season, something that cannot be said about any other club in the division. Arsenal have won only two of the last 12 away games in all competitions. Against League One Blackpool and rock bottom Huddersfield. A yellow card for Sokratis (£5.1m) in that clash means he is banned for the club’s next two league games, while Laurent Koscielny (£5.4m) was a fitness doubt but has returned to training alongside Granit Xhaka (£5.2m). Aubameyang failed to start for the fourth time in six games last weekend, while Lacazette’s price combined with four away games could see the Frenchman overlooked in the forward selection. Emery made it sound as though Ramsey would have started in BGW33 if fit enough, so the Welshman might be the best of several risky picks in the Arsenal midfield. The Gunners’ teamsheet at home to Napoli tonight, along with the result, will hopefully be of help to FPL managers seeking to fit in Arsenal assets ahead of DGW35. "He was better and his idea was to play. But after speaking to the doctor we had doubt he could play 90 minutes, we decided not to start but he could play like a substitute." Synopsis: Paul Pogba’s (£8.7m) stock continues to decline, with over 80,000 transfers out for the Man Utd midfielder despite the upcoming double. The Frenchman is without an attacking return since GW28, with a missed penalty to his name in GW29. A visit from a West Ham side leaking goals could be the tonic Pogba needs, though a difficult set of DGW35 fixtures followed by a clash with Chelsea at Old Trafford means the midfielder is being shipped out of squads en masse. Ole Gunnar Solskjaer’s comments about playing Pogba “a little deeper” in midfield further decrease his FPL viability. After missing the second of United’s DGW32 fixtures due to injury, Rashford returned to play 85 minutes in the Red Devils’ loss to Barcelona last night. Lukaku managed 68 minutes before being replaced by Martial, with Solskjaer’s team mostly set up in an unfamiliar 3-4-1-2. United starting in a back five. Shaw the third centre-back. Dalot at left wing-back. Pogba playing behind Lukaku and Rashford. Lukaku’s availability decreases Rashford’s chances of operating at centre-forward, while the England striker’s recent injuries are not encouraging from a minutes perspective ahead of a busy United schedule. Martial represents a wildcard punt considering Solskjaer’s options in attack. The midfielder has started once in the three gameweeks since he returned from the treatment room. Whether or not FPL bosses plump for United assets ahead of tomorrow’s deadline, they are worth monitoring with two excellent fixtures to end the season as Solskjaer’s side aim to grab a top-four spot. Synopsis: A Vardy 16-pointer in BGW33 has owners re-thinking the forward’s position in their squads considering Leicester’s next two games. The striker was replaced late on in BGW33 as a precaution but Brendan Rodgers said on Wednesday: “He’s absolutely fine. He felt a slight niggle in his groin at the end of the game. Rather than risk it we took him off but he’s fine and as sharp as normal. He’ll be fine for Friday.” The Foxes’ schedule stiffens severely from GW36 but Vardy is no stranger to scoring against top-six sides. His midfield colleagues may struggle to contend with the lure of DGW35 assets. Synopsis: Etheridge (114) is second to Lukasz Fabianski (131) for saves this season and represents a tempting DGW34 option. Peltier has started each of the Bluebirds’ last four ties, with Sol Bamba’s injury making the budget defender a secure pick. Camarasa is an outside contender for the armband this weekend for those seeking to take a captaincy punt on a double-gameweek asset.